I read this article and found it very interesting, thought it might be something for you. 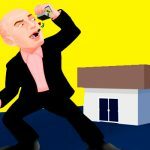 The article is called Memo to Jeff Bezos: Stack-Ranking is a Destructive Employee Practice and is located at http://evonomics.com/why-stacked-ranking-is-the-destructive-employer-practice/. The behaviour of the psychotic hens fits rather well with the normative assumptions of classical economic and game theory, which suggest that individuals will act selfishly in situations that afford them the opportunity.2 In group situations, individuals are consistently expected to identify, and act on, the dominant Nash strategy—the strategy that cannot be beaten. Just think of the classic ‘tragedy of the commons’, where people are predicted to free-ride on and exploit the contributions of others to a shared resource.3 Furthermore, the selfish actions of the Super-Chickens also support the theme of much evolutionary psychology from the 1960’s, which was based on the principle that individual interests will always outweigh the interests of the group.4Given an opportunity to benefit from the efforts of others, selection will favor those which seize the day. 2. Baumol, William (1952). Welfare Economics and the Theory of the State . Cambridge, MA: Harvard University Press; von Neumann, J., & Morgenstern, O. (1947). Theory of Games and Economic Behavior . Princeton, NJ: Princeton Univ. 2nd ed. 3. Kerr, N. (1983). Motivation losses in small groups: A social dilemma analysis. Journal of Personality and Social Psychology, 45, 819-828; Kerr, N., & Brunn, S. (1983). Dispensability of member effort and group motivational losses: Free-rider effects. Journal of Personality and Social Psychology, 44, 78-94; O’Gorman, R., Henrich, J., & van Vugt, M. (2009). Constraining free-riding in public goods games: Designated solitary punishers can sustain human cooperation. Proceedings of the Royal Society B, 276, 323-329. 4. Williams G C. (1966). Adaptation and Natural Selection: A Critique of Some Current Evolutionary Thought . Princeton (NJ): Princeton University Press. 5. Dawes, R., & Thaler, R. (1988). Anomalies: Co-operation. Journal of Economic Perspectives, 2(3), 187-197. 6. Wilson, D, S., & Wilson, E, O. (2007). Rethinking the theoretical foundation of sociobiology. Quarterly Review of Biology 82: 327–348. 7. Wilson, D. S., & Wilson, E. O. (2008). Evolution “for the Good of the Group”: The process known as group selection was once accepted unthinkingly, then was widely discredited; it’s time for a more discriminating assessment. American Scientist, 96(5), 380-389; Wilson, D.S., van Vugt, M., & O’Gorman, R. (2008). Multilevel selection and major evolutionary transitions: Implications for psychological science. Current Directions in Psychological Science, 17, 6-9; Eldakar OT, Gallup AC. The Group-Level Consequences of Sexual Conflict in Multigroup Populations. de Polavieja GG, ed. PLoS ONE 2011, 6(10): e26451. doi: 10.1371/journal.pone.0026451; O’Gorman, R., Sheldon, K., & Wilson, D.S. (2008). For the good of the group? Exploring group-level evolutionary adaptations using Multilevel Selection Theory. Group Dynamics: Theory, Research, and Practice, 12, 17-26; Wilson, D. S. (2008). Social semantics: toward a genuine pluralism in the study of social behaviour. Journal of Evolutionary Biology, 21(1), 368-373. 8. Kniffin, K. M., & Wilson, D. S. (2005). Utilities of gossip across organizational levels. Human Nature, 16(3), 278–292. 9. Swaab, R. I., Schaerer, M., Anicich, E. M., Ronay, R., & Galinsky, A. D. (2014). The Too-Much-Talent Effect Team Interdependence Determines When More Talent Is Too Much or Not Enough. Psychological Science, 25(8), 1581-1591. 10. Kniffin, K. (2009). Evolutionary Perspectives on Salary Dispersion within Firms. Journal of Bioeconomics, 11: 23-42. 11. Buchanan, J. M. (2000). Group selection and team sports. Journal of Bioeconomics, 2(1), 1-7.